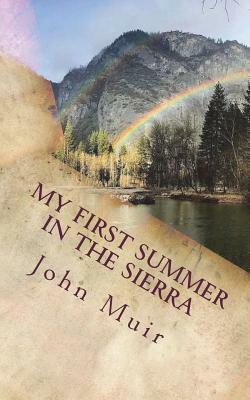 My First Summer in the Sierra: with Illustrations by John Muir - In My First Summer in the Sierra John Muir recounts his early travels in the Sierra while working as a shepherd. In the summer of 1869, Muir set out from California's Central Valley with a flock of 2,050 sheep and made his way to the headwaters of the Merced and Tuolumne Rivers. As one of America's great philosopher naturalists, Muir captures the spirit of the Sierra Nevada and brings the reader along as a witness to his great journey. He explores in great detail the mountains, meadows, waterfalls, flora, and fauna of the rich landscape that captured his heart. My First Summer in the Sierra is an excellent introduction to the writings of John Muir. This edition contains 30 illustrations. "Oh, these vast, calm, measureless mountain days, inciting at once to work and rest Days in whose light everything seems equally divine, opening a thousand windows to show us God. Nevermore, however weary, should one faint by the way who gains the blessings of one mountain day; whatever his fate, long life, short life, stormy or calm, he is rich forever. We are delighted to publish this classic book as part of our extensive Classic Library collection. Many of the books in our collection have been out of print for decades, and therefore have not been accessible to the general public. The aim of our publishing program is to facilitate rapid access to this vast reservoir of literature, and our view is that this is a significant literary work, which deserves to be brought back into print after many decades. The contents of the vast majority of titles in the Classic Library have been scanned from the original works. To ensure a high quality product, each title has been meticulously hand curated by our staff. Our philosophy has been guided by a desire to provide the reader with a book that is as close as possible to ownership of the original work. We hope that you will enjoy this wonderful classic work, and that for you it becomes an enriching experience.